Packaging giant Amcor has announced that it has completed the acquisition of Nampak Flexible, a leading flexibles packaging company in South Africa. With the acquisition agreement sealed, Nampak Flexible will now become a new business unit of Amcor Flexibles Europe, Middle East and Africa (AFEMEA). 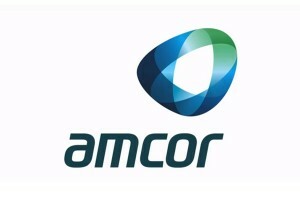 The unit will be known as Amcor Flexibles South Africa (AFSA) and will provide customers with broader product and technology offerings, increased innovation and development capacity, and a more versatile manufacturing footprint in Africa, Amcor said in a news release. “Africa is an exciting market for Amcor Flexibles,” said Peter Konieczny, President of AFEMEA. The acquisition was announced three months ago. The deal is valued at $22 million. Amcor is a globally recognised company that specialises in supplying a range of rigid and flexible packaging products to the food, beverage, healthcare, home, personal care and tobacco packaging industries. Nampak Flexible has extrusion, lamination and conversion capabilities across three plants and generates sales of approximately ZAR1.1 billion (USD 94 million) per annum. The business services leading multi-national and domestic customers in the beverage, food and home care end markets.